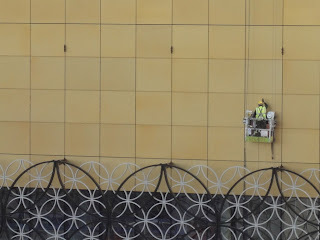 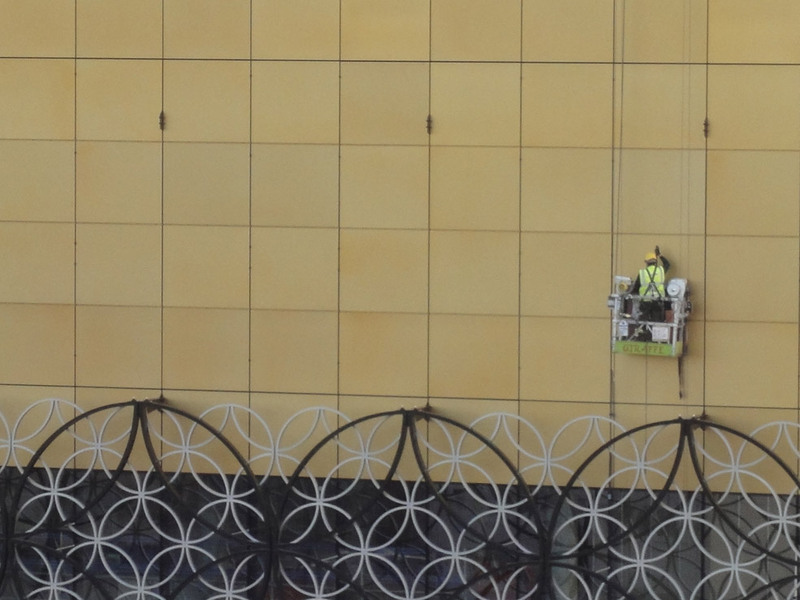 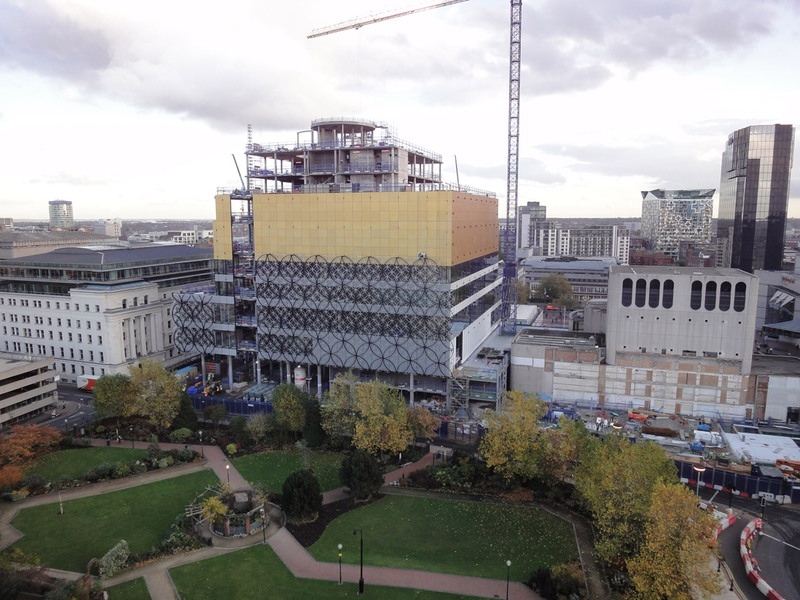 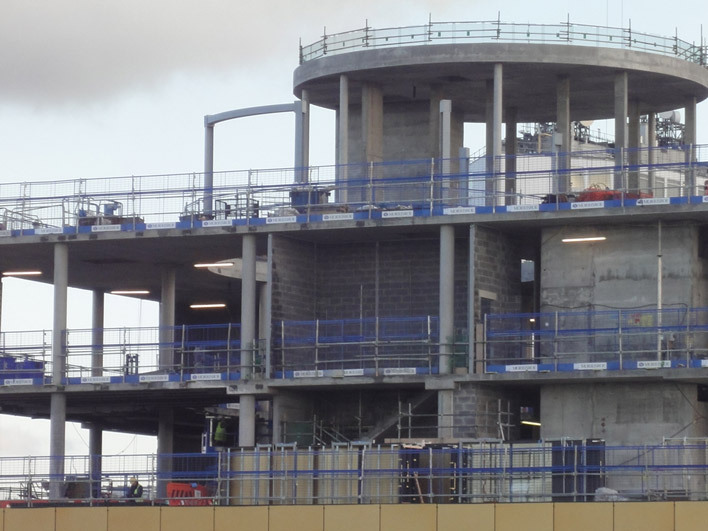 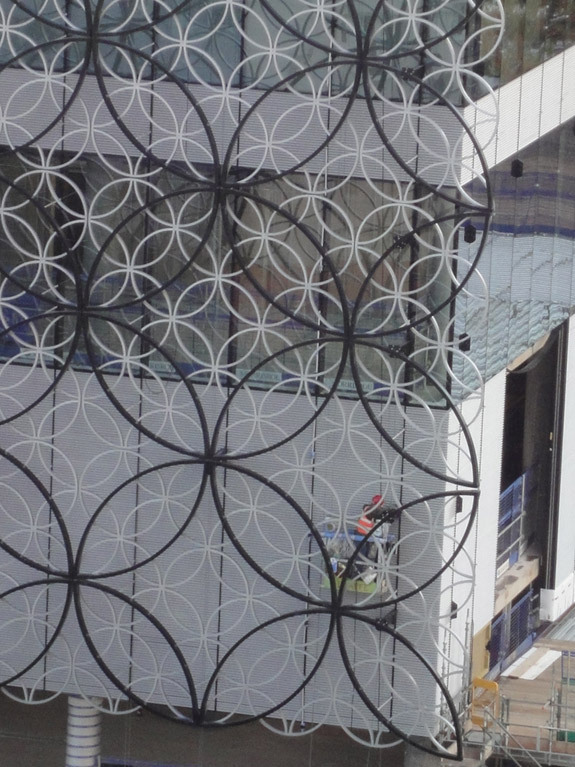 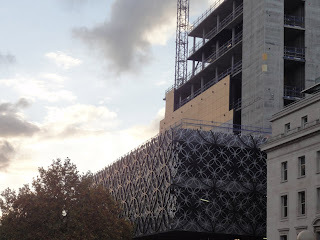 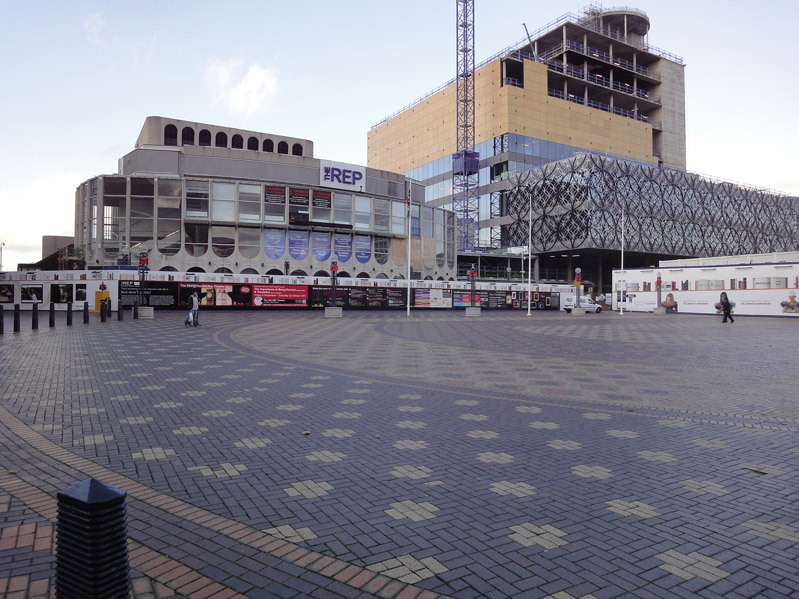 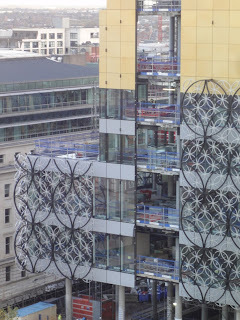 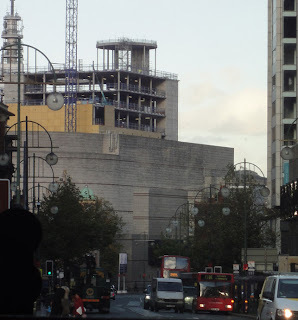 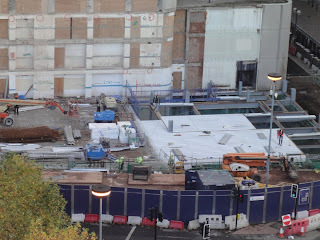 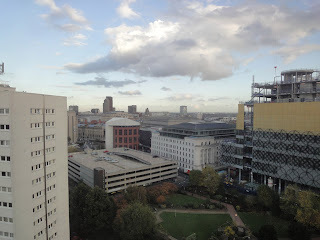 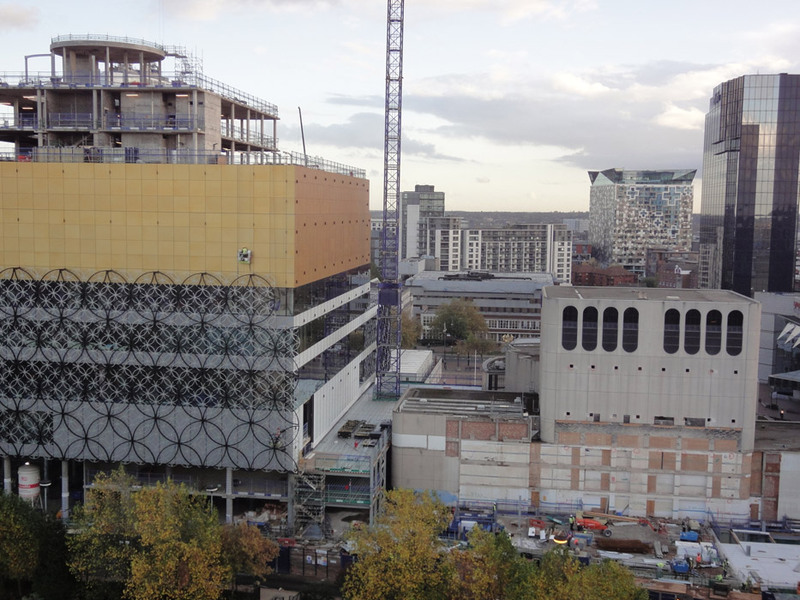 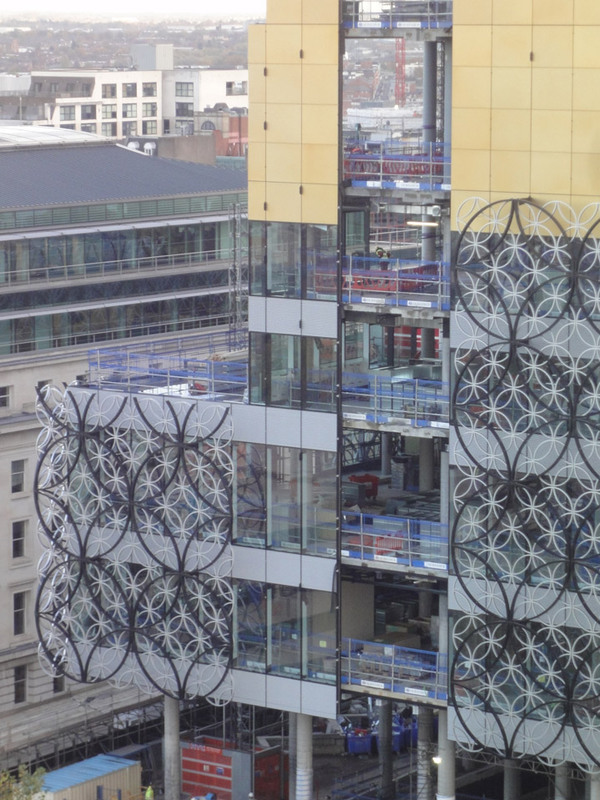 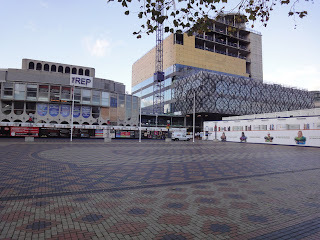 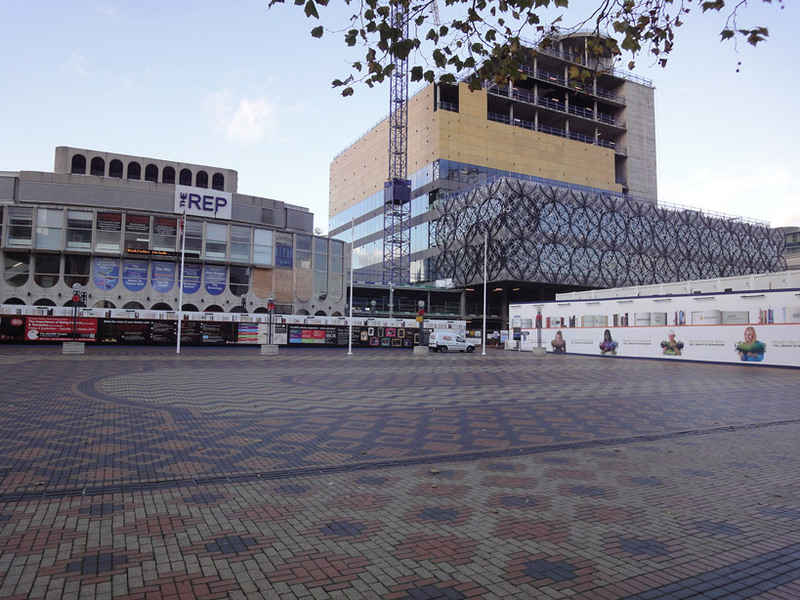 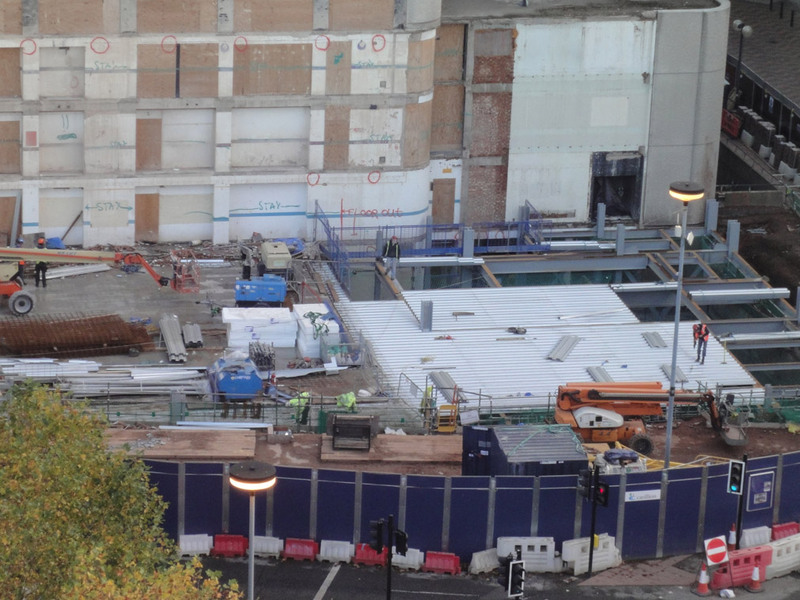 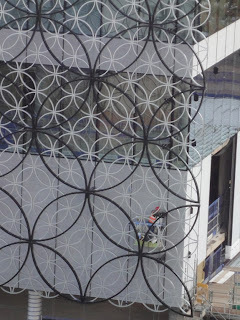 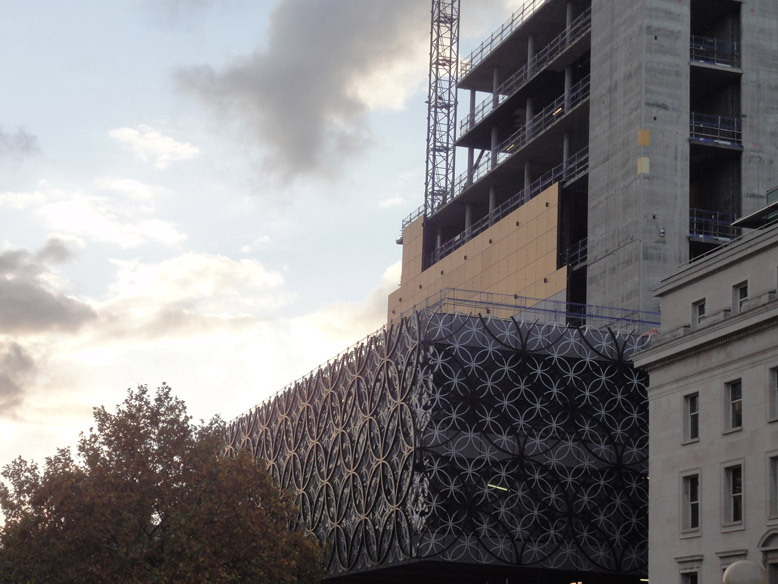 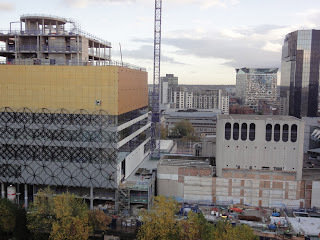 Here is an update on the construction of the Library of Birmingham from the 1st November. 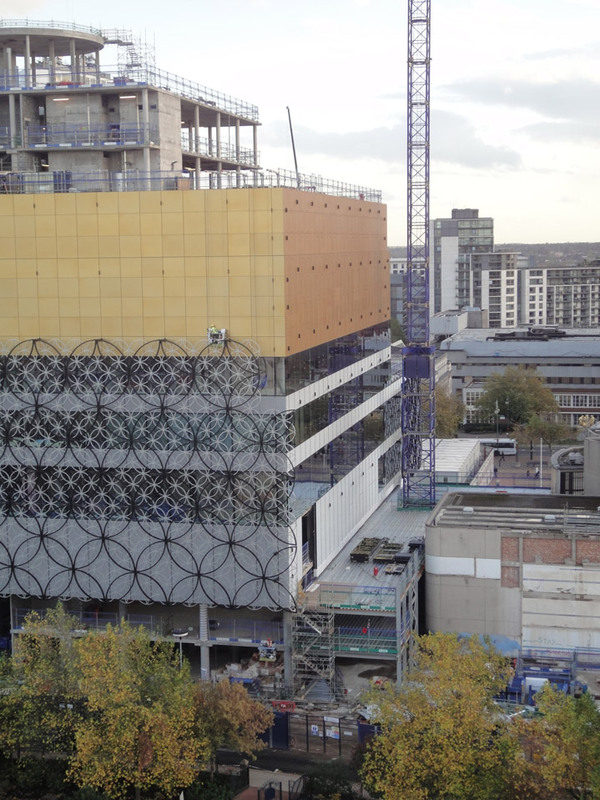 Work is continuing on the glazing and exterior panels as the library construction reaches week 93 of 165, just over 50% of the construction programme. 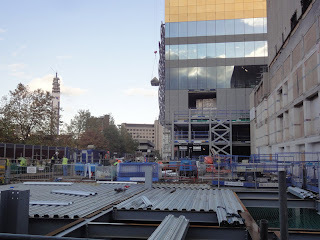 The temporary decking at the top of the building which allowed the construction of the Shakespeare Memorial Room has been removed and the steelwork for the glazed canopy over the top of the rotundas rising through the building is being installed. 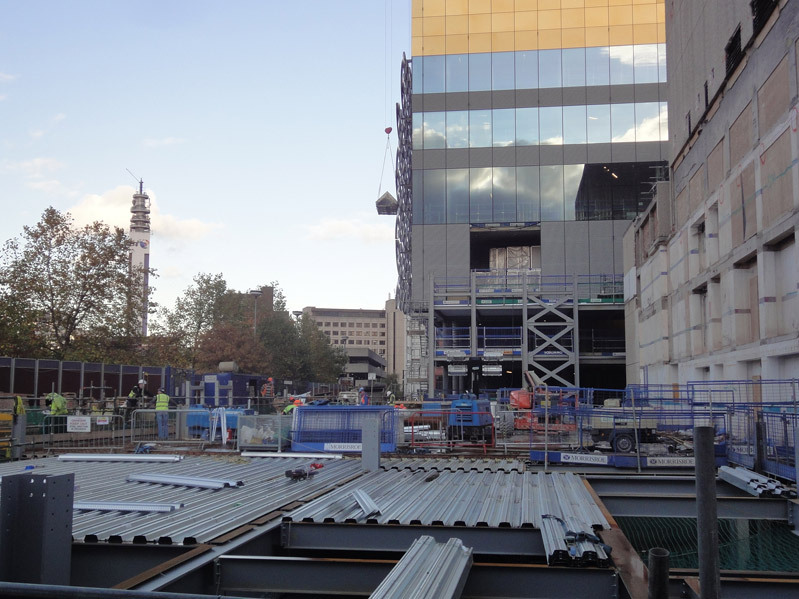 Steelwork on the rear of the REP is also continuing to be installed to allow for the extension.